I have a 1972 ford mustang 351c I replaced the water pump only used one gasket did I need to use both of them I got it running today and water is coming out of the left side of the motor by the oil stick did I do something wrong. May be silly question, but did you assemble with just the gasket and no sealant? Were the bolts/threads clean so you could set them back with proper torque? I never replaced a water pump but it sounds like you re-used one of the old gaskets? I hope I'm wrong coz you should never re-use a gasket. If you have a leak there is something wrong for sure. Are you sure hoses are in place and tight also? When you had the pump off you should clean all the bolts really good and I apply some anti seize and bit of RTV to the threads of the ones that go into water jacket. Cannot say by memory which ones do. 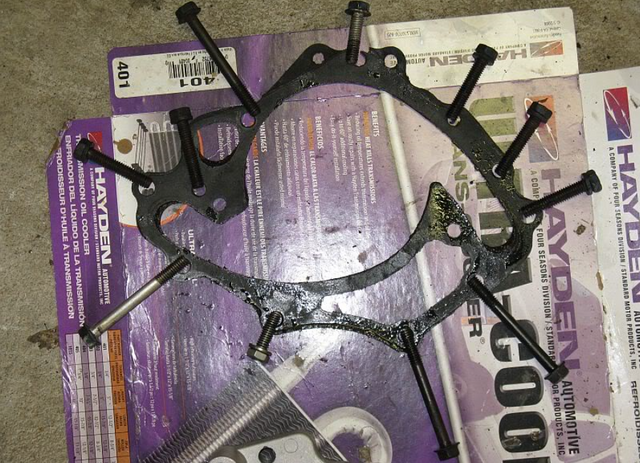 You should apply a small amount of RTV or sealer to both sides of the gasket. It is also easy to knock the gasket out of position when installing. It is a great help to take a couple of long bolts and cut the heads off and put one on each side to slide the gasket over and get in place then slide the pump on and get the bolts started and then remove your guide bolts. You can also use threaded rod cut to length. 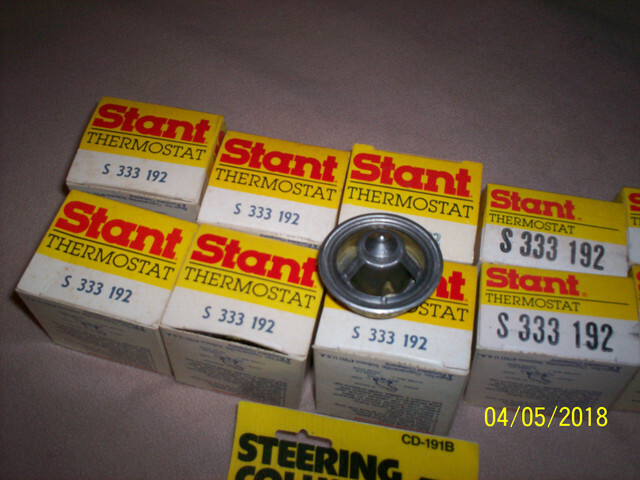 You also need the special thermostat for a 351 C or you will have heat issues. Correct one is shown in the picture. Has a hat like extension that goes into the baffle down inside the block. 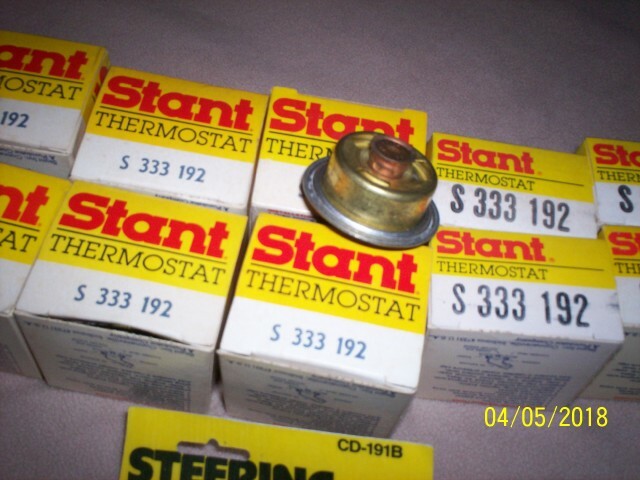 Use anti seize on the thermostat housing bolts also. Only one gasket should be needed. Did you clean the timing cover before installing the water pump? It has to be clean and smooth. You have to select the gasket that matches the water pump. You need to put gasket sealer on both sides of the gasket. You need to use oil resistant thread sealer on all of the bolts. and the timing covers get pitted over the years and if they aren't in good shape, a seal can be hard to get without a good sealant added to the gasket surface. Probably have to pull it and try again, but the second time will be easier. Thank you all I did new gasket on with pump. Maybe try sealing the bolts first before I pull the water pump. I know we used a gasket between the timing cover and the block AND a gasket between the timing cover and the water pump.